Looking for 000Webhost promo codes and coupons? #MasterTheWeb and save money today with our exclusive The Webmaster offers. 000Webhost is a free hosting provider, so you can setup a basic website for nothing. Make sure you keep the website active to avoid deletion. 000Webhost is a free web hosting provider. As such, the only coupon we show is the 100% discount one. Once you are on the website, click the “Sign Up for FREE!” button to get your free hosting plan. Click the coupon button to visit 000Webhost © The Webmaster. No billing information is required to sign up, so there is no shopping cart or billing area. Just enter a few login details, and you will be up and running in minutes. Enter email, password and website name © The Webmaster. 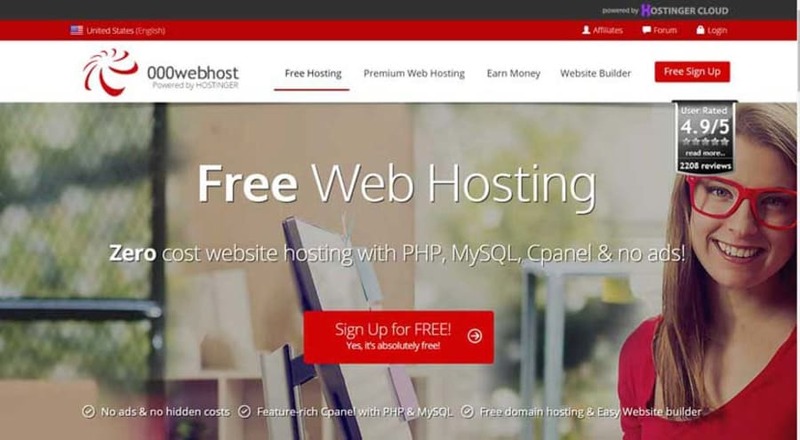 000Webhost is owned and run by Hostinger, their premium hosting brand. 000Webhost plans are limited (no support, few resources, inactive accounts automatically deleted). Their free hosting brand is a marketing exercise for their paid plans. They don’t charge you a penny. If you just want to play around with a non-important website (i.e. learning to create a website), then it may be suitable. 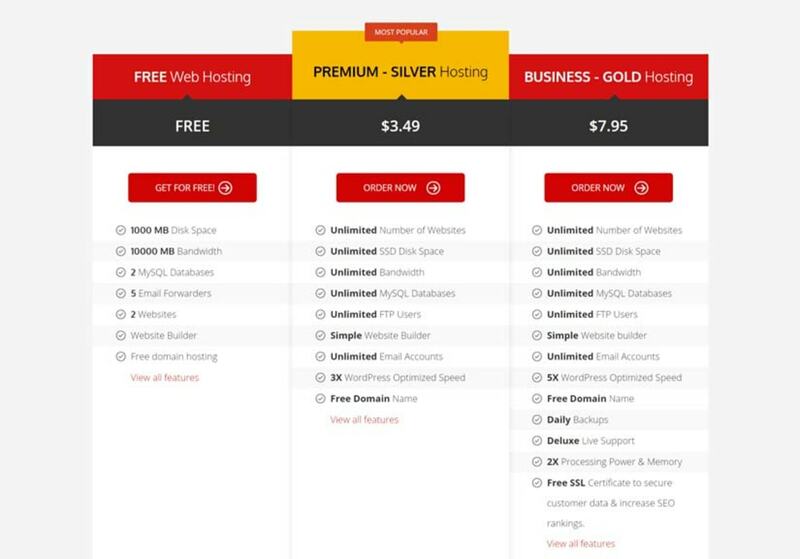 For any website that requires any degree of reliability (A blog, business website or anything you care about) free hosting is not a good choice. You get no support, and if your website is inactive, you may find that is automatically deleted. They do not offer a free .com, .net, .info, .org or any other domain name with your FREE hosting. However, you can use a free subdomain, allowing you to create a website without having to purchase one separately. If you sign up to one of their premium plans, then you get a free domain. Can I buy a domain name with 000Webhost? Yes, their premium hosting brand Hostinger offers all the features you might expect such as domains or SSL certificates. However, I always recommend registering your domain away from your web hosting provider (see here for an in-depth guide how to do this). I personally recommend Namecheap, which also happens to be on of the cheapest domain registrars around allowing you to save money. Do they display adverts on my website? Yes and no. They advertise that they do not; however, they will advertise their premium brand “Hostinger” on your website unless you disable this from within your control panel. Full instructions on how to do this can be found here. Do they offer any support if I need help? They only provide community-based support via their forums. They take weekly backups, which are stored under the backups section of the control panel. Yes, they offer Zyro Site Builder for free. See our review for more details. Why do you have a discount code page when 000Webhost is free? This page contains more information than just 000Webhost promo codes. I like to think the quick overview on how to sign up for their free shared hosting plan, as well as this FAQ, is in at least some way useful. Yes, they offer a 99% uptime guarantee. This allows them 14 minutes 24 seconds of downtime per day, or 7 hours 18 minutes per month. If uptime is important to you, I suggest you choose a host with a reputation for reliability, such as SiteGround.